All Things Cullum: Interview: Stereo MCs...in their own words. Interview: Stereo MCs...in their own words. 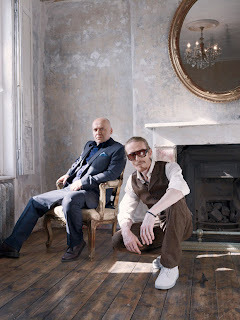 English electronic dance band Stereo MCs have been making music since 1985. They've achieved phenomenal success, selling millions of records and working with the likes of Madonna and playing stadiums supporting U2. Read the band bio for the full fascinating story. Their latest project 'Emperor's Nightingale' was released on September 19th and the first single 'Boy' features Jamie Cullum. Last week, I got to ask Rob from the Stereos about the making of the new album and how Jamie Cullum came to be involved. Congratulations on the release of your seventh album! The creative process for this project has been different to your normal path. Do you feel you accomplished what you set out to make? How long did it take from start to finish? We wanted to change the way we wrote our tracks - usually (for the last 20 years or so!) we'd finish a set of grooves and then try to write vocals for them. When we started writing for this album, we started jamming more as the grooves were still embyonic and from there, we tried starting tracks by collaborating with other musicians and getting song ideas from individual jam sessions. We then took the basic bones of the song ideas (which often took from 30 minutes to 3-4 hours to create) and transferred them to our laptop and developed them at will. The whole process was energizing and a lot of fun as the spontaneity was not lost - it was captured in the jam. We didn't think too much about it, we just sought out any opportunity to write with people and when we'd finished about 20 tracks, we felt ready to go and mix down and we're excited about the end results and the directions that are open to us. I guess once things started to click, we wrote most of this record in 11 or 12 months, apart from a couple of ideas which re-surfaced from the back burner. To cut a long story shorter, when we had finished 'Emperor's Nightingale', our managers came to our studio for a meeting, during which they asked us to go through each track and tell them its meaning and significance. 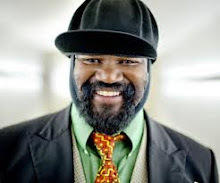 During this process, whilst talking about a tune called 'Wooden Heart', it came up that, (as i go home have dinner and read a bed time story to my children and then go back to the studio), I really quite liked children's stories and felt inspired by them as I'd been reading one called 'The Nightingale' to my nippers. Gary (manager 1) stood up and said "thats the album title". No one was quite sure if he was serious as it was kind of obscure and worlds away from anything we imagined would be right and I think that's probably why it clicked. The way we made the record, freeing ourselves of preconceptions of what we should sound like and how we should make our music....talks of a sense of freedom which if you read the original tale, freedom is a key factor in the Nightingale's song. So in the end it seemed kinda cool. It's been quite a journey for Stereo MC's since your first record back in 1989. What has changed and what's stayed the same since you set out together? Yeah, it's been a long windy road for sure but surprisingly timeless when you re-connect with your roots. Music has changed and evolved, the way it is made has changed. Now people make tunes from start to finish on computers or laptops in bedrooms, airports, hotels, in transit, anytime, anyplace. Recording studios are relics as are major labels and music is available anywhere, anytime on the internet, whereas when we started, you demo'd at home and did a lot of time in studios and getting a deal with a label was pretty much the only way of getting your music heard. Also, musicians now can be far more elusive and mysterious - almost anonymous. Nuff tracks or artists I like I know only by the song and logo, don't have a clue what they look like or what they are. 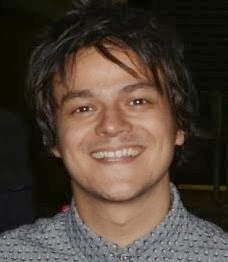 Jamie Cullum features on 'Boy', the first single from the album. How did that collaboration come about? It was very relaxed recording the piano and Jamie had the part. I helped him get the feel I think because in Jamie's words, "parts written on the piano by a non piano player are the hardest to play." I guess because they come from a different angle. Anyway, it was down really easy and only took a couple of hours and it really opened up the song. His whole vibe was down to earth, open minded, and for such an accomplished musician, really un-egotistical. I sat next to him on the piano stool showing him the part feeling like I had butchers hands on the keyboard but he never made me feel any way about it. He just wanted to understand what we were trying to put over and then he translated it. Got to give him props for that. 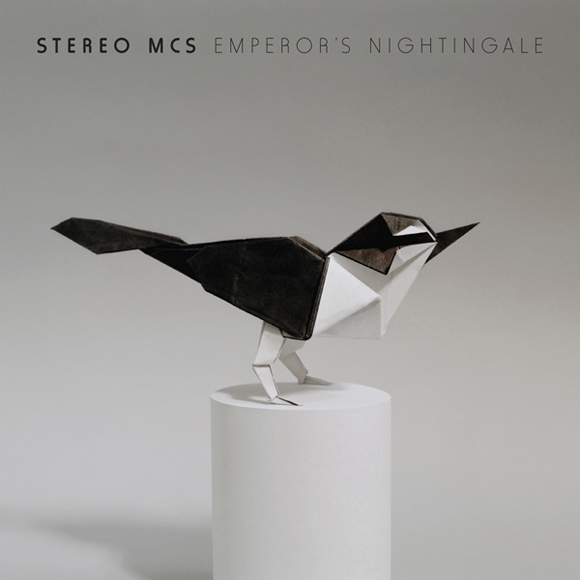 For those new to Stereo MC's, what would you recommend from your back catalogue to get a feel for the band? On 33, Elevate My Mind, Lost in Music, Connected, Chicken Shake, The End, Deep Down and Dirty, Warhead, Black Gold, City Light. 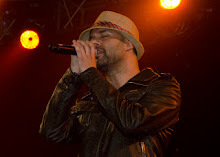 Who in the music world is impressing you at the moment? Yes, a tour is being organised at the moment for December around Europe and hopefully a few shows in the UK. This should spill over into next year also. ~ Thanks to Rob for taking time out to chat to All Things Cullum! All the best with the new record and tour!